Buying smart phones online can be a difficult process. There are so many brands to choose from. The prices of the phones differ a lot. Can you buy the phone simlock free or only with a cellular contract? And what is the phone’s quality? When buying a phone online in China, you’ll even get more questions to answer. These questions are simplified to: Will this shop really send the phone to me? Will the phone work in my country? What guarantees do I get? I tried to answer these questions in my quest for buying a new phone online in China. This year my daughter will attend High School. For her, this is a real good reason why she would get a smart phone for her birthday. It is unthinkable to come at her new school with the old partly broken iPhone 3G she had “borrowed” from her mother. She wants a new iPhone too! Why not? You can wish for the moon, but no way she can spend 800 USD for her first phone and I’m not going to pay for this either. So I started searching for cheaper Android phones in China. This led me to a complete new world of immensely high numbers of brands. A lot of online pro’s and don’t for buying phones online in China. I transformed this research into 3 blogs, which I will post the following weeks. Until a few years ago you could only buy a phone with from an cell phone operator. The phone was almost for free but you needed to pay a large amount of money monthly for the use of this phone. Fortunately you can buy phones simlock free. And separately select you sim-only account. Some operators created their own brand phones to offer lower prices than Apple or Samsung. These phones were made as a white label by Chinese manufactories like Huawei. A few years ago these manufactories started to sell their phones by themselves. Together with all the little manufactories that want to get their share from this markets, this led to a large number of Chinese brands. Don’t forget the Chinese market itself is also a huge market. These Chinese brands produce for their own market as for the international market as well. ZOPO, DooGee, MI, THL, LKD, Bluboo, Asus, Cubot, Leagoo, news4, JAYU, C3, Kingzone, Star, HTM, MBL, Kinksing, Landvo, Jiake, Mpie, Miljue, Xiaocai, Blackview, Utime, HaiPai, Elephone, Gfive, Royalstar, Pomp, iNew, Laaboo, M-Horse, LKD, Macxen, M Pai, Timmy, Citric, Feiteng, Mixc, Decca, Z.doxio, Mysaga, Ebest. And this is only the beginning. During my search I found much more brands I never heard of before. It’s impossible to know them all. To give you a quick start I can recommend the following brands. In the Netherlands an iPhone 5s 64Gb starts at about 800 EUR or 1,000 USD (yep, we pay a lot of VAT!) In China I found Android phones in China for just 70 USD. The quality and specs may differ a lot and you might say these examples are incomparable. Sure, but between the 70 and 1,000 a lot is possible. Chinese Androids are priced somewhere between 50-450 USD. Even the highest priced Chinese brand Androids are cheaper than a simple iPhone 3GS 16Gb in the Netherlands. The price difference between top brands and smaller brands may come through the product and assembly costs. Quality has a price. Profit also. Apple uses a profit percentage of 33%. This means every iPhone is sold with 33% pure profit. This profit is higher than most companies can afford. Second large companies like Samsung might have lower profits but do have large marketing budgets. These budgets can be higher the manufactory price of the phone itself. With Chinese brands the company profit and marketing budget are lower than international brands. So the prices can be lower without lowering the quality. Chinese products are normally not known for their exclusive and great quality. A lot of products are made of cheap material and badly assembled. It’s true and I do not deny this. But did you know Apple and Samsung have their phones made in China too? The design is by Apple, but it is a Chinese manufactured product. With the enormous list of Chinese brands there will be a lot of bad phones too. Not all Chinese companies go for low quality. Some new brands try to excel and stand out with very good quality and service. Huawei and Lenovo are excelling by selling their phones internationally themselves. In the next blog I will explain how you can identify if the product is good or bad. Like any product you buy directly in China, always be sure you buy at a legitimate shopping site. If you are not familiar with a certain shop, do your research before you spend a lot of money and might loose it. Check this blog to read more about trustful and fake Chinese shops. During my search I found many scam sites. 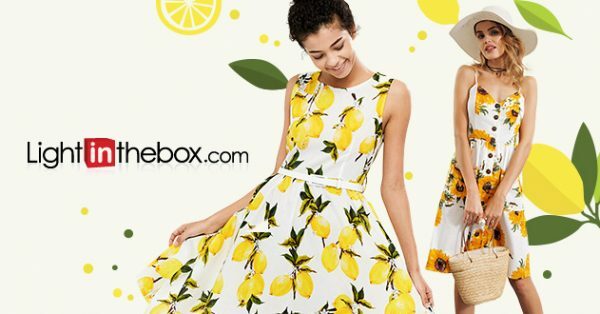 Shopping sites with too good to be true offers. And if you don’t know it yet….. If it seems too good to be true, it IS too good to be true. It is NOT true. Be sure the shopping site is a legitimate shop. Are the prices comparable with other shops? Do they have a secured payment section? Do they offer guarantees? Is there a good customers support. If you hesitate about any of these questions, don’t buy there. Look further. Or select one from our: Favorite Chinese Shopping Sites. What if you buy a great Chinese Android phone, get it delivered perfectly and fast, the phone works like a charm in your hand but…….. you cannot use it as a phone or browse the internet? No matter how great the offer is, you MUST be sure the phone works in your country. This depends on the frequency bands the phone is working on. These frequency bands do differ in different countries. A phone optimized for the USA market might not work in Europe. A phone optimized for the Chinese market might not work in the USA etc etc. Be sure the selected phone works with the frequency bands in your country. In the next blog I’ll explain how to check this. If you import an unknown brand to your country, you can count on it there is no or little support for this phone. When you have any troubles with this phone, you must rely on your reseller. What kind of support do they offer in case you have problems with your phone? Is it worthy to ship it back to China for repairs and ship it back? Is it possible to replace the broken parts? What guarantees are given with this phone? When you buy an Apple product the reseller (or Apple.com) asks if I want to buy Apple Care. It is an expensive warrantee plan in case the product got broken. With phones from China check what kind of warrantee the shop gives. In case of TMart they have a 180 days warrantee. If it is broken within 180 days TMart will replace or refund the product. After this period TMart will forward the product to the manufactory for repairs, but you must cover the return shipping fee and reshipping fee. It is a fair offer, I think. Better if they give a 1 year warrantee on electronics. Normally you don’t see any real Chinese shop selling brands new products from Apple, HTC, Nokia, Blackberry. Or the price is not competing. The only shops I saw that were offering these products were fraudulent shops. It is simple. These brands do not come from China. So if you want to buy it from China, the Chinese shops must import it first and then resell it to you. This will be more expensive than buying it directly in your country. But I found this original iPhone 5s on AliExpress. The price is the same as in the Apple store for simlock free versions. For this price I wouldn’t buy it in China. I did find some Samsung smart phones on DealExtreme. These seem to be real, but I cannot confirm that. You can find refurbished phones and smart phones on DealExtreme and TMart. These are real brand phones but reassembled or repaired old phones. This can safe you a lot of money. But don’t expect to find up to date models. Counterfeit products are always intriguing me. Why creating exactly the same product with a slight different name? Everybody knows it is fake and other poor quality. I always find it fun to search for counterfeit. When you buy brand phones online, just be aware that counterfeit or clones are easy to get. For example a perfect iPhone 5s clone working with Android for only 100 USD is just fun. 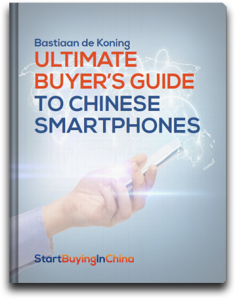 Thi sis the first article about buying a phone in China. In the next blog I will cover the 10 steps you must take before you buy a phone in China. These are steps like selecting your shop, budget, phone. Checking if it works in your country, certifications, international warehouses, taxes and duty costs, and more. If you have any questions you want to be covered in next weeks blog about buying your phone in China, please leave a response in de comment box below. 9 replies to "Buying a phone in China, Pros and Cons – Part 1"
this article is helpful and I think subsequent one’s will be helpful too as well. well, I have already taken the initiative and bought a smartphone from focalprice. not yet received it though, and their customer service doesn’t sound too good in the ears. so far, bought from DealeXtreme, AliExpress, Focalprice, and banggood. I saw your troubles with Focalprice. Did you contact them and did they respond? I hope it will sort out soon. Feel free to write a review about your experiences at Focalprice review. It will help other users too. it was based on your recommendation that’s why I bought from focalprice. I even used one of your coupons for a discount. I didn’t know it will lead me that far? Hi Amos, I’m sorry to hear that. I reviewed Focalprice in December 2013 and gave it a 2 star rating (poor) because of quality and delivery. You can influence the user rating of Focalprice directly by leaving a review. This is important for future readers. PS I’ve sent you a PM. focal price is toiling with my purchase. a Chinese phone. over two months now, not yet received it. I read that and I thank you for this article wealthy. I still wanted to know if it’s still possible or not to buy Apple products in the original Chinese shops? 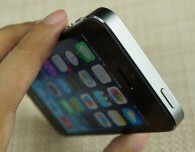 In the blog you’ll find a link to an original iPhone. I don’t know if it is really original and the seller is trustful. The price is the same as in the USA. For the third blog I’ll do some more research. I do found some info about refurbished Apple products. do you know that the Chinese company known as Doogee is not actually pronounced that way? it’s rather pronounced Daogee. I did my research and I found it to that way.